The Sabin Vaccine Institute will award the 2002 Sabin Gold Medal to Stanley A. Plotkin, MD, medical and scientific advisor for Aventis Pasteur. The medal is awarded annually and recognizes exemplary leadership in the field of vaccinology. The Sabin Gold Medal will be presented to Dr. Plotkin at a ceremony at on May 7th at the Wyndham Baltimore Inner Harbor Hotel. The event will be held in conjunction with the 5th Annual Conference on Vaccine Research, a meeting of several hundred of Dr. Plotkin’s fellow scientists that is co-organized by the Institute. 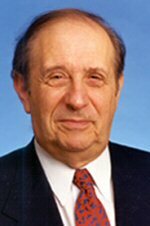 Dr. Plotkin developed the rubella vaccine now in use, and has worked two years, he was associate chairman of the Department of Pediatrics at the University of Pennsylvania. Dr. Plotkin’s career included internship at Cleveland Metropolitan General Hospital, residency in pediatrics at the Children’s Hospital of Philadelphia and the Hospital for Sick Children in London and three years i n t h e E p i d e m i c Intelligence Service of the Centers for Disease Control of the U.S. Public Health Service. In 1957, he investigated the last known outbreak of inhalation anthrax in the United States prior to the events of 2001, and helped demonstrate the efficacy of the current anthrax vaccine. ....note 'volunteer' populations----mentally handicapped (below). rationalisations of their conduct, and of the politics of science today.